Shank&apos;s Mare Outfitters is all about life along the Susquehanna River, even if when it&apos;s too cold to hop in a kayak and paddle along the picturesque shoreline. The Susquehanna Dining & Learning Series will continue at Shank&apos;s Mare on Friday, with "Women and the Advent of Leisure Time and Recreation on the Susquehanna." Attendees will enjoy a delicious dinner at The Rookery before hearing guest speaker Hollis Bedell discuss how industrial and social changes of the late 1800s freed women from household chores. That allowed them to participate in leisure activities, including boating, birding, botany and perhaps other pursuits along the river. Admission for the program and dinner is $42. Bring the craft beer craze home by learning how to brew. Bailee&apos;s Homebrew & Wine Supplies, a member of the Susquehanna Ale Trail, is offering two classes this Saturday. The knowledgeable staff will start with an all-grain brewing class that will elevate beginner beer skills to the next level. It will also include a small tasting. For those taking their first steps toward a home-brewing hobby, the afternoon class may be a better fit. It&apos;s designed for beginners, who will learn about beer-making equipment and see how beer is brewed using malt extract. Both classes are $15. Spots must be secured in advance, so move quickly. 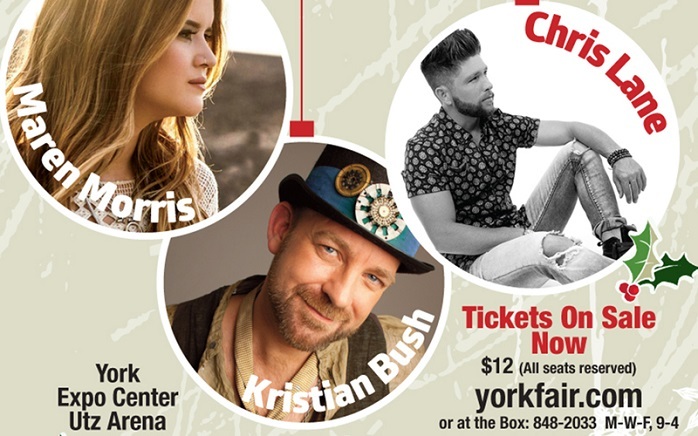 The Utz Arena will be rocking a week before Christmas when three country artists come to town for the Jingle Bell Jam. The show will feature Maren Morris, named New Artist of the Year at the CMAs, and Kristian Bush, one part of the Sugarland Duo. He wrote hits like "Baby Girl" and "Stuck Like Glue." They&apos;ll be joined by Chris Lane, whose "Fix" hit No. 1 on the Country Airplay chart in August.